Is the Backup Appliance Extinct? 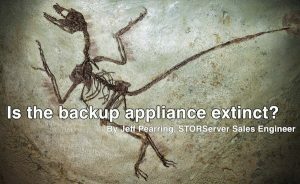 As Mark Twain once famously wrote: “This report of my death was an exaggeration.” Similarly many companies have begun to tout the extinction of the backup appliance. The idea of having cloud based Backup as a Service (BaaS) is quite appealing. The ability to move all data protection to the cloud and eliminate the need for an onsite appliance does exist and has for the past few years. However, the practicality around implementing this approach still eludes most datacenters. Cost cutting and budget reductions in IT departments are still a dreaded yearly tradition. The cost of cloud storage and the necessary bandwidth required to make not only backups but more importantly restores direct to and from the cloud viable is still too high to eliminate the need for an onsite data protection appliance. Another hurdle is the growing size of data sets. We’ve seen remarkable growth in the amount of data that companies are creating and are required to keep. Every new regulation and policy set in the corporate world seems to extend recovery point objective (RPO) and reduce the recovery time objective (RTO). The industry solution to slow upload and download times is to allow customers to spin up VMs in the cloud and access their data remotely. The reality of this workaround is that a company must pay to spin up VMs of their data and then put to them to bed. A monthly charge applies to maintain these VMs and to perform any updates in order to reduce the RTO in the case that the VMs need to be accessed by users. The other option is to have the cloud provider perform the restore to the cloud ad hoc. Depending on the storage options and service level agreements (SLA) this process can take hours or days. The price rises dramatically as the RTO decrease. The cloud continues to grow and make the onsite datacenter more obsolete for more companies. These hurdles will continue to make the backup appliance an integral part of data protection and disaster recovery for the foreseeable future. 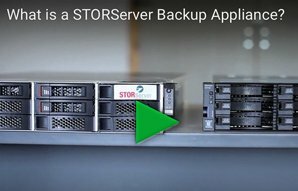 Learn more about backup appliance technology, and size your solution today! ← Cool it On Your Bad Backups!